Cardiac Nursing 2019, will take place from 26 Jul to 27 Jul 2019. 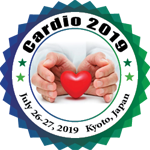 Cardiac Nursing 2019 is in Kyoto, Japan but the venue of the event is not determined yet. It is going to be a trendsetter Congress, noted as one of the most cutting-edge meetings within the Cardiology, Cardiovascular, Cardiovascular Nursing and Cardiovascular Medicine aspects. Cardiac Nursing 2019 is an annual Congress. The organizer of the Cardiac Nursing 2019, 27th International Conference & Exhibition on Cardiology and Cardiovascular Medicine is Conference Series LLC. Let Kyoto must do tourist attractions make you adore this city when you are there for Cardiac Nursing 2019. Here are the great things you can do in Kyoto!